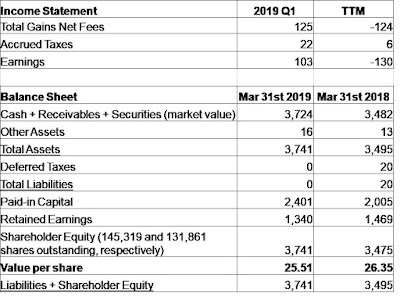 For the first quarter ended March 31st, 2019, KVF gained $0.70 per share, increasing the value of each share to $25.51. This result underperformed the indices usually quoted here. 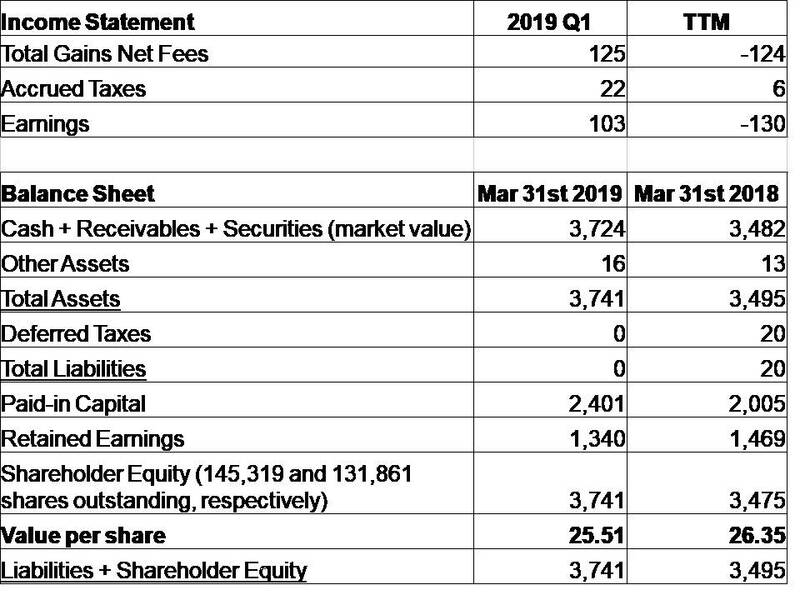 KVF's portfolio did not fall as dramatically as the indices in Q4, and at the same time did not participate to the same extent in the Q1 rebound. Losses in Interserve (as discussed here) and a deal collapse in GameStop were primary contributors to this quarter's relative underperformance. Currency losses also took a bite out of returns this quarter in the amount of $0.23 per share. There appear to be more value stocks available now than there have been in years past. As a result, KVF is close to fully invested in order to take advantage of these potential mispricings. These stocks are disproportionately comprised of small caps, which aren't constituents of the larger indices. That said, if the major indices were to take a tumble, it is unlikely that small cap stocks would be spared, using history as a guide. Nevertheless, KVF's strategy remains to buy value wherever it may be, in the expectation that this will lead to market outperformance in the long run.